Just this morning, we were talking about The 10 Commandments. Obviously, there's strong Egyptian themes in that movie. Well, then I log on to check news stories, and the strong Egyptian themes follow me here. 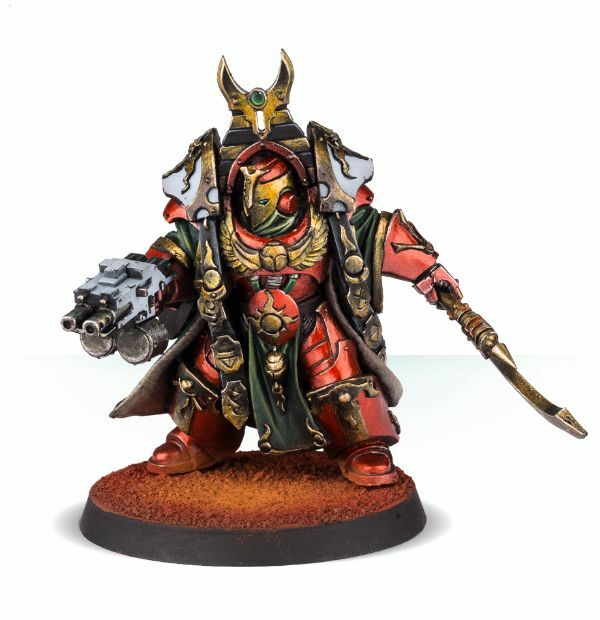 Forge World has started taking orders for their new Thousand Sons Legion Praetor figure. You can get him alone or in one of the regular bundles that Forge World likes to make. Praetors are the mightiest warriors and battle-leaders of the Space Marine Legions, second only to the god-like Primarchs in martial skill and generalship. These lords of the Imperium hold the power of life and death over whole worlds, with the direct control of entire war fleets and armies in their hands. Each is a vastly experienced warrior and warlord, unique in character, who has writ a legend in blood for themselves, and carries into battle the finest wargear and weapons known to humanity. They are the masters of war and have commanded the hosts of the Great Crusade that have conquered worlds unnumbered. 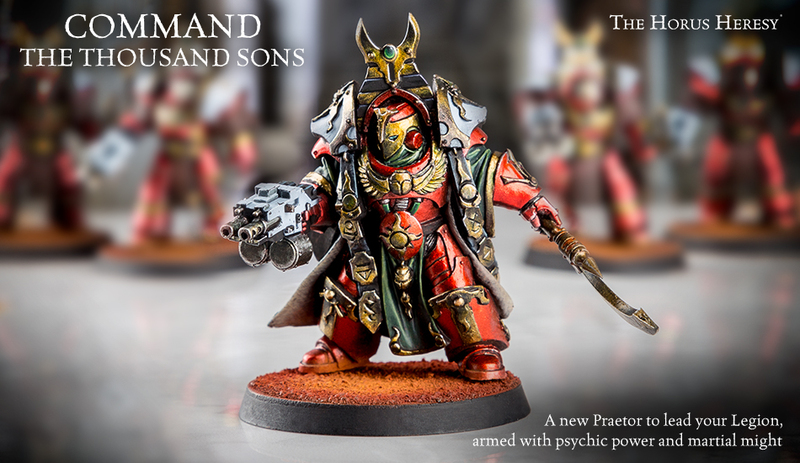 The perfect choice for a Thousand Sons army, this multi-part resin kit contains the components necessary to build a complete Thousand Sons Legion Praetor. Beautifully detailed from its chunky armour to its impressive weaponry, it features plenty of sculpted Thousand Sons iconography on the armour, with a splendid headpiece and billowing cloak. The single-pose model comes armed with a storm bolter in the right hand, and a force axe in the left. Supplied with a 40mm Round base. Rules for the Thousand Sons Legion Praetor are available in The Horus Heresy - Legiones Astartes: Age of Darkness Army List book.